When life gets tough, rough and troubled, what do you do? Do you get mad? Do you take it out on someone or something? Do you seek smart council? Do you believe that the Lord can help and He is always there? For me, personally, when I know I can't solve it myself, I go to a prayer book and start praying through it until I get peace. But some people aren't like that, I get it. I have seen it. Sometimes we are so afraid of what's on the other side of that, that it is hard to see the answers clearly. 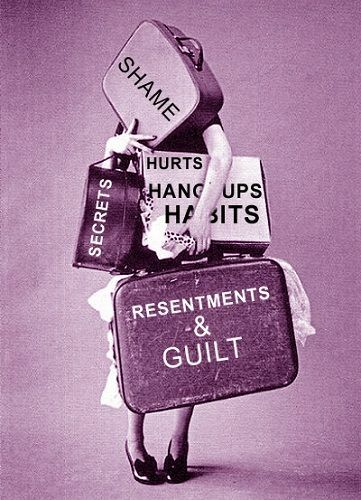 Sometimes, it's easier to carry the burdens of bitterness, regret, anger, malice, and even jealousy or self bitterness than it is to confront the real reasons for it. Those are all tools, but definitely not good tools or even good baggage to carry around. It takes strength to let these things go. It really does. I remember being bullied in school, chased home daily and beat up. When I was going through a Wellspring Healing class, the Lord woke me one night and said "you need to forgive Liz and the other gal for beating you up. Let it go and I will take care of them." 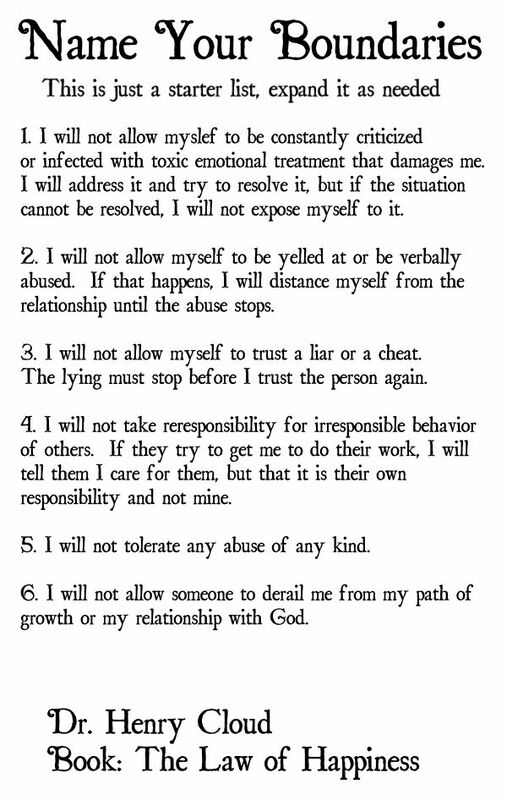 I went to my "green" prayer book and spoke those words of forgiveness and the prayer of David and let it go. I did that with so many other hurts that I grew up with. Things that haunted me for a long time. I know it's not easy, I know that when we hang onto them, they fester and they turn green and goopy, they fester until something happens, you pop or you let go with God. Oh King of Heaven, how we love Thee! You our Father are magnificent and none can compare to your Glory. We bow down before you to humbly ask that you help us release every negative thought, every trace of doubt and every bit of fear that may lurk deep within our hearts. Help us to let go of the things that consume our happiness as we declare you release joy into our lives. 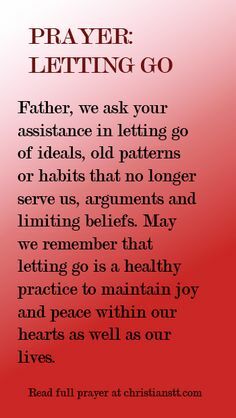 Father we ask your assistance in letting go of ideals, old patterns or habits that no longer serve us, arguments and limiting beliefs. Help us to remember that letting go is a healthy practice to maintain joy and peace within our hearts as well as our lives. Lord remind us that letting go also means finding forgiveness. Whether it is forgiving yourself or forgiving a person who betrayed you. Help us to release the past and let go of the pain and anger that destroys our ability to show compassion. I use http://AKWellspring.com as a teaching tool. For me, I am someone that believes the best for everyone. In some circles it's called Co-Dependent. I have always been others cheerleader, upbeat and positive and not letting the cares of the world attack me all the while I try to maintain my own peace. Sometimes the enemy comes to attack and destroy. But most of the time, I work hard at staying above the ruts in the road. God didn't make junk when He created me, He made me who I am and who He believes I can be. 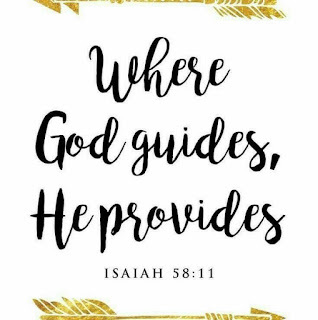 He made me a care taker and sometimes I just have to step away and take care of myself and find out again what God is up to in my life. God can heal the PTSD, He can heal the fear, anxiety, all that stuff. He can! Is he not enough for you to believe he can heal? He can do anything in us! He sets our hearts on fire for HIM. Messiah, my Lord, grant us the serenity to accept the things that we cannot change, courage to change the things we can and the wisdom to know the difference. Help us to forgive those who persecute us. Those who have deeply hurt us, those who have wrongfully accused us, those who speak ill of us, those who abuse us whether it is physically, emotionally or mentally and especially those who have asked for forgiveness but we find it difficult to. Lord help us to forgive just as you did when you sent your son to die on the cross of Calvary for us. He suffered an unimaginable death all for lowly sinners such as ourselves. We know we do not deserve it, Oh Heavenly Father, we do not deserve your grace, yet you gave it to us through your love. We cry out in desperation. Help us to not beg for forgiveness but repent for it because we are already forgiven through Christ Jesus, our Lord and Saviour. You are Mighty to save, Lord and we know you will give us the strength to fight off a heavy heart against those who did us wrong. It takes a strong person to admit they are wrong and ask for forgiveness but it takes an even stronger person to forgive. Help us not to hold them in mind, give us peace, Oh Loving Father, the peace that passes all understanding. Give us peace within our mind, body, soul and hearts, for it is in giving that we receive, it is in pardoning we are pardoned and it is in dying we are born to eternal life. Lord Jesus, right now, whomever is reading this, heal them in your mighty name. Heal those hurts, diseases, broken heart, broken spirit, brokenness in the world, heal them Jesus, Mighty are you! 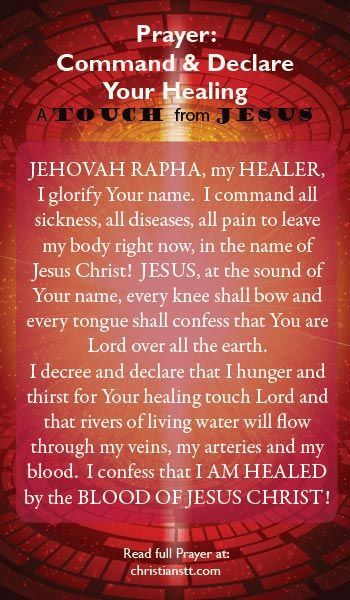 Amen and thank you for healing.